BASKETBALL SPOTLIGHT NEWS: Jalen Preston Bodies Defender! They say the hottest 8th Grader out of Texas is Jalen Preston. Preston caught acclaim after one of his thunderous dunks made it onto Hoopmixtape Youtube Clip. 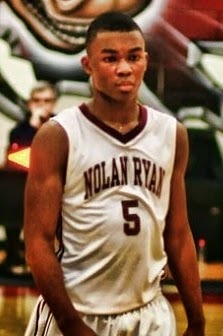 Preston recently joined TJ Ford All Stars in which Ford bragged on twitter about having the best 8th Grader in Houston. His thunderous dunk is featured below. Basketball Spotlight will keep you posted on some of the top players and top plays in the country.